For many college students, the move to college signifies the first time in their lives that they and they alone are responsible for paying attention to and taking care of their own health and wellness. Unfortunately, the hectic schedule and the stresses of being away from home and keeping up with coursework can make it difficult to devote time to staying healthy. Too often this means coming down with a terrible cold or a serious case of strep throat at the worst possible time. The good news is there are many resources available on college campuses to help you stay as healthy as possible. Use the resources on your campus and these tips to safeguard your health and wellness. The seemingly endless availability of ‘free’ food makes it easy to over indulge which is why so many college students gain weight in the first year of school. Make sure you are getting the food you need without eating things you don’t need by eating breakfast every day, trying to fill half your plate with vegetables at every meal, and avoid eating late at night. This applies to all beverages including those containing alcohol. Make sure you are drinking lots of water every day as it helps keep you from overeating and staying hydrated is important for good health. Limit sugary and highly caffeinated drinks. Both kinds of beverages can hurt your health if you over do it. Don’t binge drink alcohol and when you decide to drink, focus on drinking responsibly. One of the most important things you can do to stay healthy is to get enough exercise. It can be difficult to prioritize exercise when there are so many demands on your time but being active affects almost every area of your life. Walk or bike whenever you are on campus. Sign-up to play on an intramural sports team. Join a hiking club or some other club that will let you be social and be active at the same time. All-nighters and skipping sleep are generally considered part of the college experience. However, research has shown just how critical sleep is to good health and this means getting the sleep you need is one of the most important things you can do to stay healthy. Sleep deprivation also affects your ability to learn, to concentrate, and to remember which means skipping sleep to study may actually cause you to do worse in your classes than getting a good night sleep. The communal environment of a college campus means germs and viruses are everywhere just waiting for you to invite them in. You can keep illness away by practicing good hygiene. Wash your hands, especially after you have been in high traffic areas like classrooms, coffee shops, bathrooms, and the library. Don’t share drinks with other people. If you feel sick go to the health center, don’t wait until you are too sick to get out of bed. 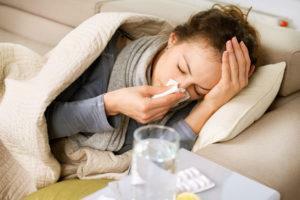 Getting treated early can decrease how long you are sick.